A mixed scheme of 191 apartments. Southwark Underground is approx. 0.3 miles (approx 7 min walk) from the development and is serviced by the Jublilee Line, whilst Blackfriars is approx. 0.4 miles (9 min walk)and provides access to underground, overground and Thames Link. Waterloo Station is approx. 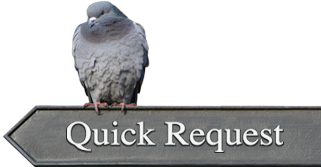 0.4 miles (8 min walk) providing access to the Bakerloo, Jubilee, Northern, Waterloo & City Lines, as well as Overground Services. 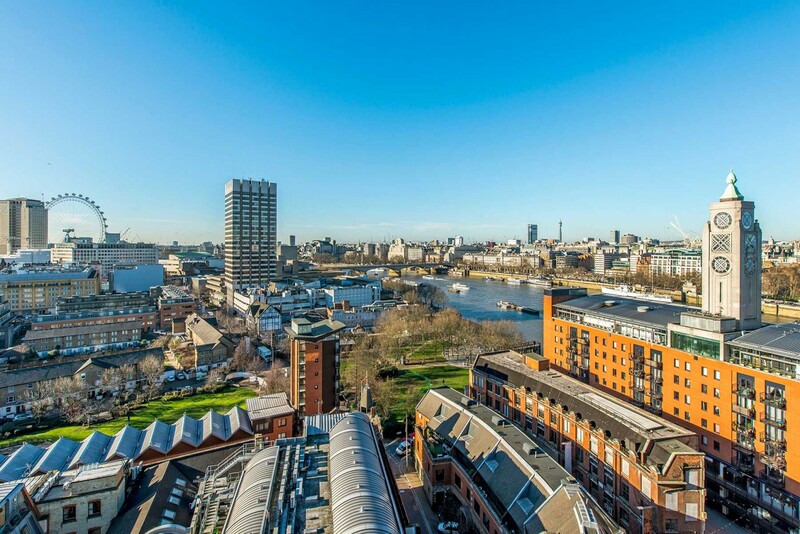 Sitting between Upper Ground and Stamford Street in SE1, South Bank Tower takes its name and in turn, ownership, of this iconic London District that is long renowned for its cultural offering, iconic architecture and World famous landmarks. And, from the upper floors of South Bank Tower, you can see every one of them. With views, spanning for miles across London, South Bank Tower makes use of a once underused office building as a core around which a new mixed-use development continues to add to the vibrancy of the neighbourhood. 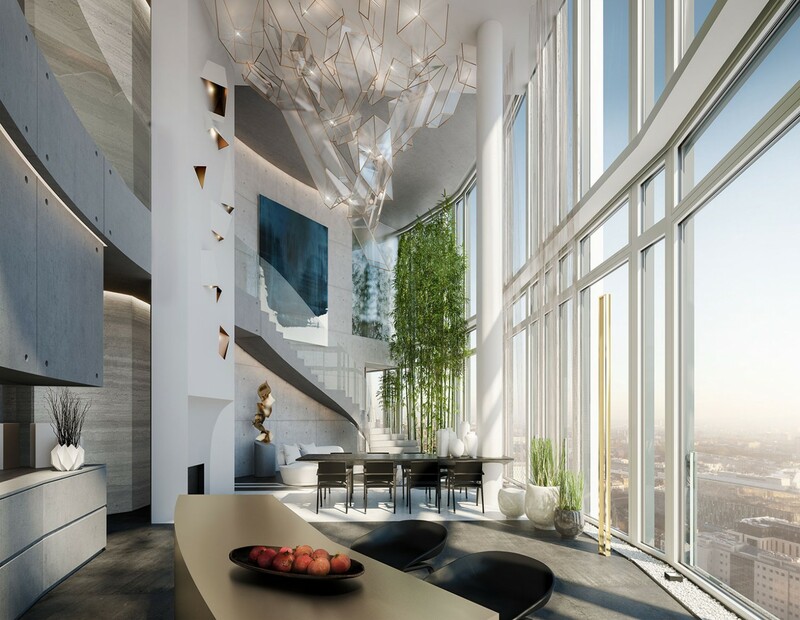 42 storeys high and with just 191 apartments every apartment in South Bank Tower benefits from spectacular views as the private, residential units start from the 20th floor. Below is the commercial space meaning that privacy, exclusivity and spaciousness are guaranteed. Floors 20-31 provide 11 storeys of either radial or corner configured apartments. Each, with two or three bedrooms and all with winter gardens and floor to ceiling windows ensuring maximum use of natural light. Beyond the 31st floor lie the ‘black edition’ apartments and penthouse suites… an even more luxurious offering in this already iconic Central London building. Originally built in 1971 and known as Kings Reach, the newly remodelled South Bank Tower was even then a vision of the future. Designed by Architect, Richard Seifert, Kings Reach was a number of significant skyscrapers designed by Seifert that include, Centrepoint, Tower 42 and Drapers’ Gardens. These monumental structures along with municipal building that include Euston Station and the recently demolished Blackfriars Station helped to define London’s cityscape throughout the 60’s and 70’s. For many years, Kings Reach/South Bank Tower was home to IPC media, one of Europe’s biggest publishing companies. One of IPC’s most famous, or rather cultish publications was the comic, 2000AD, featuring Judge Dredd. The comics wry take on the future and it’s tongue-in-cheek references to its own day-to-day activities was an instant hit both in the UK and the rest of the world. Its Editor, known as ‘Tharg’ and Kings Reach, ‘the nerve centre’. Writers and illustrators featured throughout the comic as robots, a veiled reference to the fact that in 1970’s & 80’s Britain the publishing industry, owners and unions were at loggerheads and staff were often on strike, meaning sometimes issues were delayed or not published. Although this may seem a little prosaic now many of the items featured in the comic had not yet been invented. 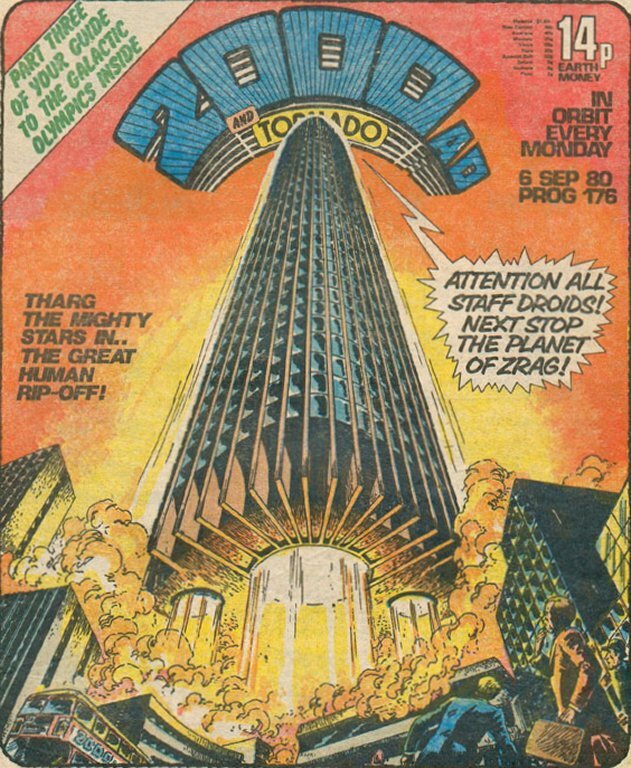 Indeed its name, 2000ad suggests just how shortsighted we were back then as 30 years into the future now seems easy to envisage, though admittedly not half as exciting! Back in the here and now, it somehow seems fitting that a 1970’s tower block home to a futuristic, Masochistic, fictional Judge should become part of London’s redevelopment. In or out of Europe London will maintain its status as a global, progressive, forward-looking city and the current developers assigning 999 year leases, clearly see South Bank Tower as lasting well beyond 3000AD! Rising from a large, lower-level podium, the actual tower of South Bank Tower is set back from the road. And, despite being 42 storeys high is strangely discreet! Like many tall buildings in a city environment, other buildings of all different styles of architecture surround it. 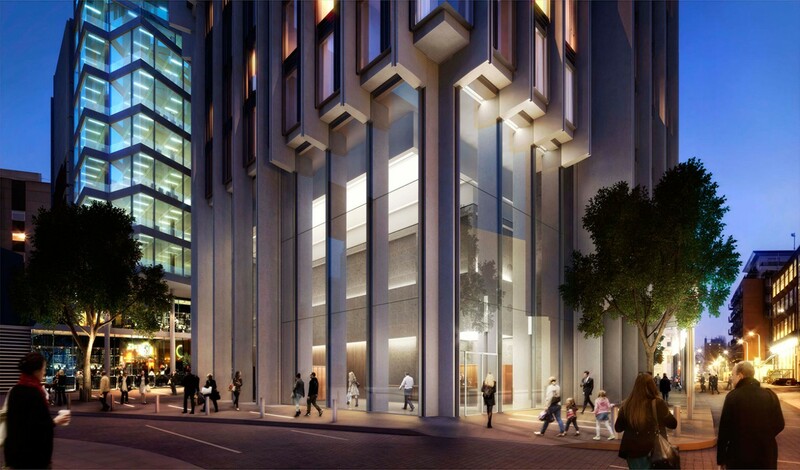 In doing so, South Bank Tower has already become part of the fabric of the city and despite some furore over the extra storeys when initial mooted, now the new upper floors seem make it seem like the original structure had never reached its full potential! The developers have made clever use of the existing core. Re-cladding it and using an extremely intricate (relative to its scale) cut and carve technique. The new, upper floors were added by using an ingenious cantilever structure and where possible, used prefabricated utility elements that allow build at ground level and simply slot into place. Such ingenuity is not only on the outside as each apartment meets and exceeds the expectations of prospective purchasers and residents. Verticality and Light are the key themes throughout the whole development and so floor to ceiling windows, glass dividers and full height entrance doors reiterate this theme in a consistently elegant manner. Two other key themes emerge from the South Bank Brochure, that of Tactility and Utility. Wooden floors provide both. While the lacquered full height closet spaces in the bedrooms provide storage generous space, a utility that many modern apartments lack. 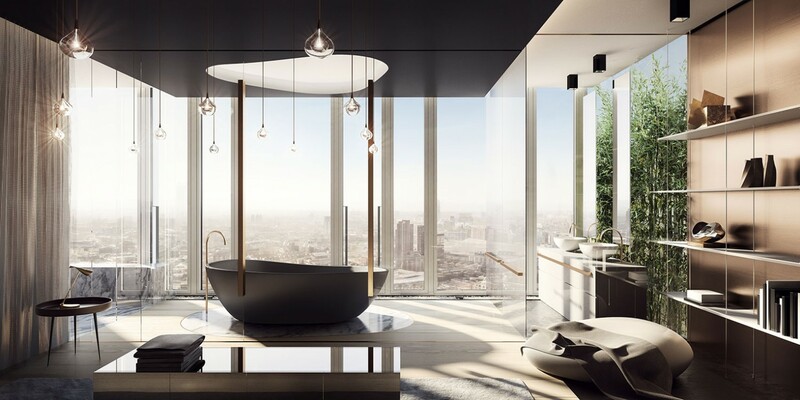 Marble panels, chrome fittings and LED halo lighting all add to the feel appeal and collectively the elements combine to create tranquil, private homes with a glimpse of the glamour and style that their residents are known for. The Black Edition apartments take this understated luxury one step futher, with duplex and lateral configurations providing stunning homes to a lucky few. For the Black Edition, Studio Ashby and Johnson Naylor have designed show apartments, both respected interior design studios with credits that include projects in some of London’s most desirable apartment buildings. Though frankly, nothing to date has surpassed the kudos that South Bank Tower can bestow. 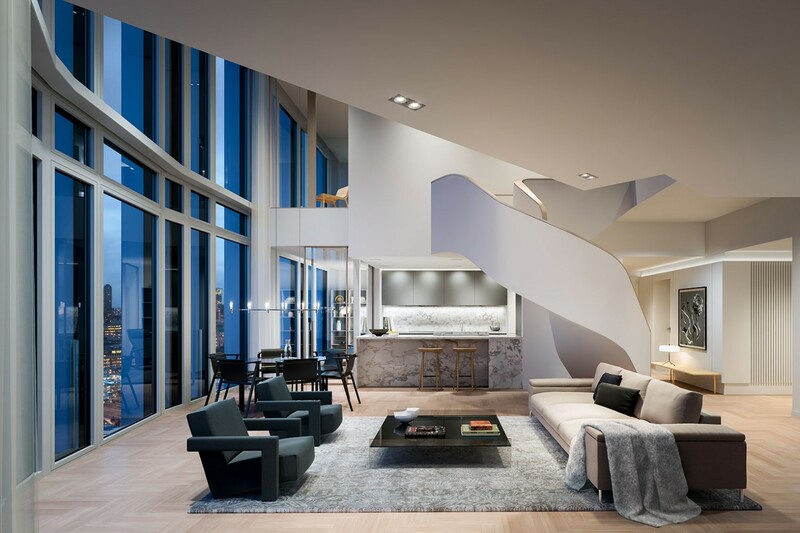 However, the penthouse apartments of South Bank Tower take the understated luxury and brutally smash it against the 6-metre high walls to redefine luxury! Design Haus Liberty and 1508 London are the guest designers of the concept apartments here and have designed spaces that are manage to beguile, entertain and yet also relax and calm any occupant. The spaces flow (no prohibitive doors and walls closing off spaces unnecessarily in these homes!) allowing dramatic art pieces, sculpture and lighting to define the spaces for living, entertaining and relaxing. 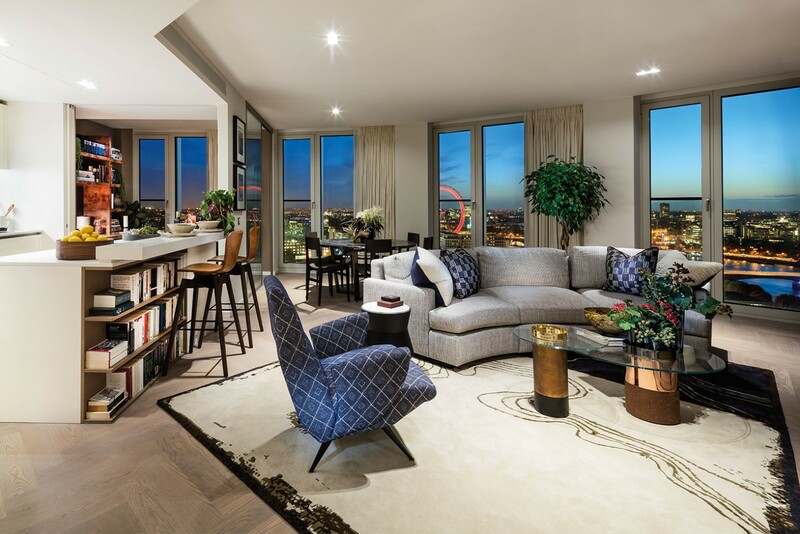 Materials are of course the best that money can buy, but as with any apartment of this calibre, the Penthouses in South Bank Tower can of course be bought as a core or as a finished concept. 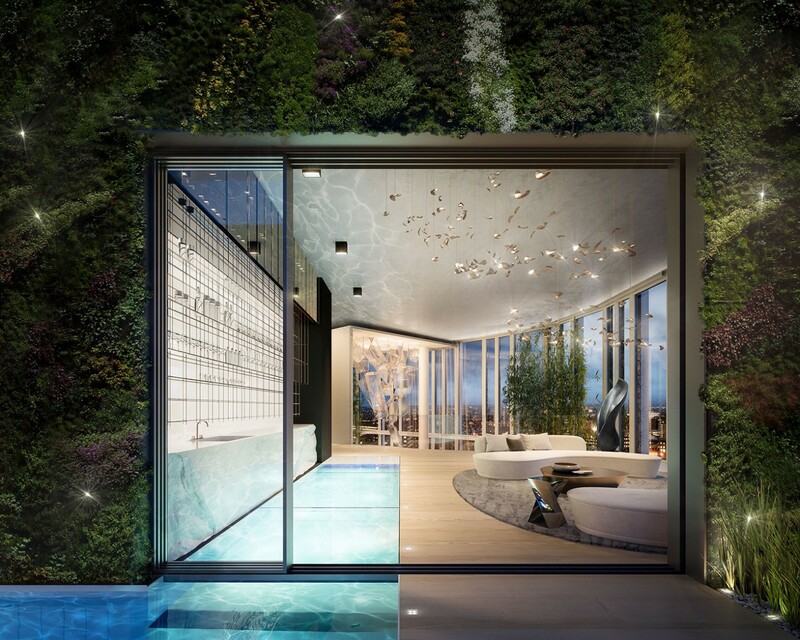 The developers know anyone purchasing here will have reached a pinnacle in their own careers and lives and will expect such an apartment to reflect that with bespoke finishes, private commissions and exclusive designs. 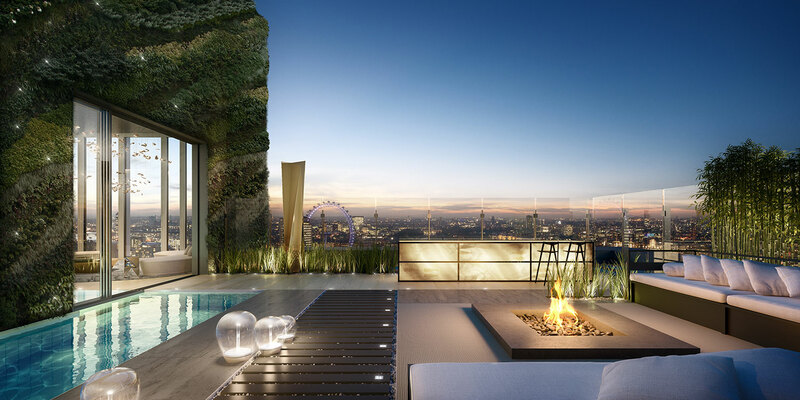 With South Bank Tower hosting private resident’s gardens, gym, pool, screening rooms and a concierge service described as the best in London, there is no reason to ever leave ones apartment! However, South Bank Tower can also boast at having some of the best cultural venues, best restaurants and best shops all within walking distance. It is particularly worth noting that the newly opened Mondrian Hotel at Sea Containers house is the sister hotel to the South Bank Tower providing the 5 star room service that is expected of such a development. The Mondrian is I am sure, already familiar to well-travelled South Bank Tower residents as part of the American, Morgan Hotels Group. With its Dandelyan (sic) bar already winning numerous awards including best cocktail menu the Mondrian is sure to become a home from home for South Bank Tower dwellers. Further afield, but not too far, (Louboutin’s were made for adoring not walking,) Tate Modern has to be regarded as London’s most stylish tourist attraction. Though truthfully the really cool, the next Damien Hirst’s the next Rita Ora’s are more likely to be found in the denizens of Zone three and four opening shops and hanging art in independent cafes than tripping the light fantastic in Chiltern Firehouse. South Bank Tower residents may indeed become the patron’s of those future stars, but to discover them might take more than cab ride to your gallery owner in Mayfair. But, let’s not get cynical, after all, the opening party for the South Bank Tower did indeed attract fashionistas and entertainers alike including models, Lily Cole, and Erin O’Connor. Brit Award winner Paloma Faith, gave a private performance of her hits including; Only Love Can Hurt Like This and Changing. And, that’s the thing about South Bank Tower, it’s unashamed opulence is cool, attracting everyone from tech-entrepreneurs, pink pound financiers and old money inheritors alongside the newly minted creatives and affluent artistic directors. South Bank Tower may just have lived up to 2000AD’s vision of the future.